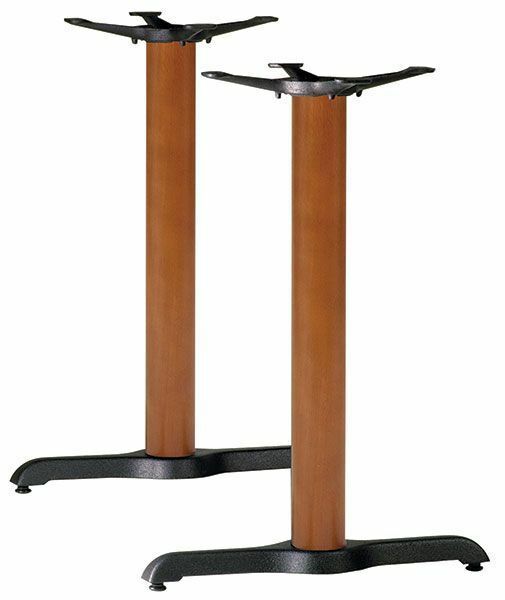 Twin table bases with round Beech columns and large cast iron feet ion a powder coated Black finish. Suitable for use with table tops up to a maximum size of 1200mm x 800mm. High quality commercial standard table base, with contrasting Beech wood effect column. This range of furniture is held in stock for a short lead time.